Having dog skin problems? Eczema in dogs can be hard to detect and treat. However, there are simple home remedies that can help bring relief to your dog’s itchy skin. Unlike human skin, diagnosing eczema in your dog requires a very keen eye. This is because your pooch’s coat tends to hide the onset of atopic dermatitis. So if you see him constantly scratching himself, you may have to investigate whether it’s just an itch he feels and not something else. Dog itchy skin and inflammation can be caused by several factors. One of them is if your pooch is susceptible to airborne allergens like pollen. Secondly, the fur on your dog constantly traps oil, dirt, and disease-causing pathogens. If he is not cleaned properly, he will most likely develop a skin problem. Eczema in dogs may also be caused by an imbalance in the body’s immune system. Moreover, if your pooch is fighting an internal infection some of it may manifest as inflammation or a red rash on his skin. Some dogs will also develop rashes and bumps on their skin due to flea infestation. Some dog skin problems may also be hereditary with some dog breeds being more susceptible than others. The early signs of eczema in your dog will be excessive shaking of his neck and head. If he does this often, it is because he is trying to fight off an annoying itch. As the condition progresses, he will start to scratch the area with his paws. Over time, he may develop hot spots (hairless patches) on his skin due to excessive scratching and licking. If these patches are left untreated, they may become weeping sores as fluids start to ooze from them. These sores will manifest as red itchy bumps on your dog’s skin. If you notice your dog scratching constantly, thoroughly clean the affected areas with medicated dog shampoo. 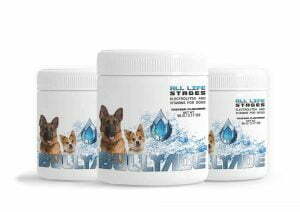 You may also purchase vet approved anti-inflammatory drugs to help alleviate the itching and skin redness. In the case of weeping sores, cleaning and dry the affected area then cover it with a wound dressing. Sadly, your pooch will also have to wear the famous cone of shame. He may not like it but it prevents him from going at the dressing or hot spots with his paws. However, you can use a neck pillow instead if he gets too moody about the dog cone. Your vet may also prescribe antibiotics and antiviral drugs in case the dog itchy skin was caused by bacterial or viral infections. 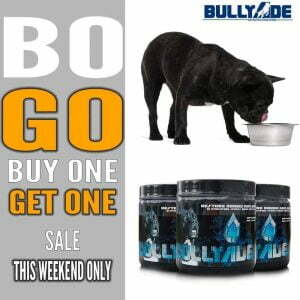 As a long-term solution, you may also invest in quality pet supplements for your dog. 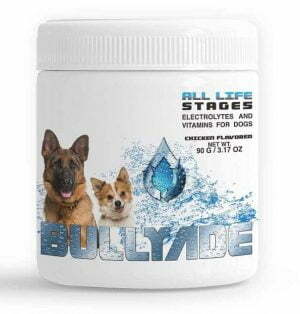 Dog supplements like Bullyade contain multivitamins and minerals necessary to boost his immune system. With a strong immune system, he should be able to fight off recurring skin problems. Another precaution is to take off some foods from his diet that may be the cause of his itchy skin. Dog skin problems may be hard to detect but very treatable with simple home remedies. However, ensure you consult a trained vet first to examine your dog’s condition. A vet would be able to recommend the right medication and diet that will help with your dog’s itchy skin.